Enjoy home control, family protection and added freedom. Save money through energy efficiency, monitor your vacation home or even be alerted if an elderly family member hasn’t moved throughout the house. Enjoy the peace of mind and convenience of true home monitoring and management. A video surveillance system is one of the easiest and most effective ways to keep your home secure. Access control solutions can cover everything from doors and windows to front gates. Smart climate control helps to maintain a comfortable home environment while saving on utility expenses. Smart lighting controls are a simple and convenient way to lower energy consumption and expenses. Protection. Freedom. Security. Flexibility. Budget-Friendly. It’s a digital world, and your home can be digital too, at an affordable price. 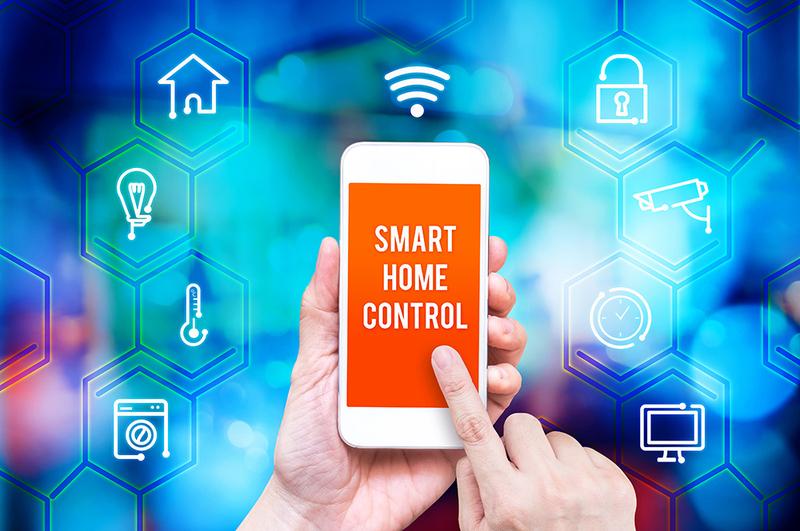 Modern, low-cost sensors and devices allow you to monitor and control your home at a price that works for your budget. Enjoy 100% accessibility from virtually any smart mobile device or Internet connection. You choose how to receive alerts when they occur by email or text message. Smart Locks: Locks that can be programmed to activate lights and adjust the thermostat. Smoke and Carbon Monoxide Detectors: Detectors can send standard audible alerts, be programmed to turn on a loud siren with flashing light, take pictures, unlock the door, send text/email alerts and more. Keychain Fobs: Multi-functional, sleek and tough, smart key fobs provide control over motion sensors, thermostats, lighting and much more. Indoor Power Outlets: Control a lamp, appliance, or other electrical device with a simple on/off switch on your smart phone; just plug into an outlet. Outdoor Power Outlets: Same functionality as indoor outlet designed with more durability; unit must remain dry from weather and water contact. Medical Alert Pendant: Device sends alert notifications via text, email or text to voice message and provides notification that help is on the way. Biosign Pulsewave™ Monitor: Pulsewave is the FDA certified coupling device that fits comfortably on a person’s wrist to measure blood pressure, heartbeat, breathing rate and other important vital signs. Results are stored in the cloud and alert notifications as well as routine information can be provided to individuals, loved ones and caretakers. Motion Sensors: Device detects motion and can be easily programmed to send notifications via text, email or text to speech. Multi-Sensor: Detects motion, relays temperature, lighting and humidity conditions all in one unit. Water Sensor: Designed for areas prone to water leak, flooding or other fluid overflows. If probes and prongs detect liquid, a notification is sent out via text, email or text to voice. Loud Siren/Flashing Red Light: Low cost home security device that triggers extreme sound and light to deter intruders. IP Camera: High-resolution video camera captures video clips when an event is triggered (i.e. doors opening, motion detected and window or door sensor activity). Snapshot Camera: High-resolution video camera takes snapshots when an event is triggered (i.e. doors opening, motion detected and window or door sensor activity). Commercial Quality Camera: A 2-megapixel indoor/outdoor commercial quality camera provides complete surveillance, inside or outside. Home Energy Monitoring Kit: A low-cost monitoring solution to report wattage and kilowatt usage; easy to install and safe to use. 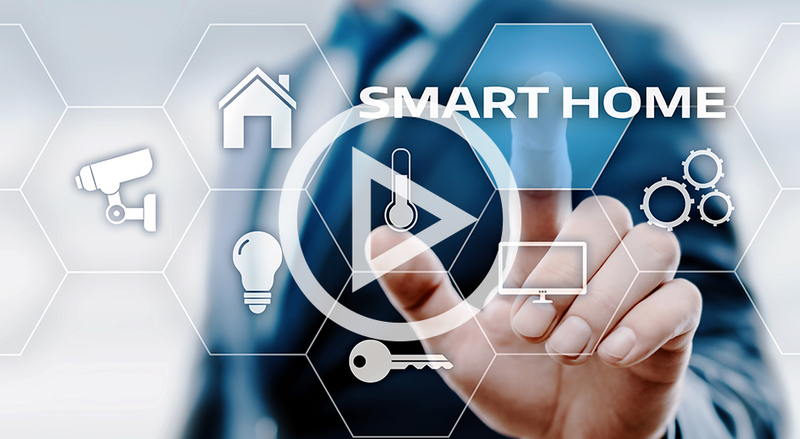 See how Clear2there’s complete suite of video surveillance, access control and smart automation solutions can help keep your home running smoothly, safely and cost-effectively.